"Simple to understand and use." Till date, whatever data I have extracted from Appsflyer was never incorrect. Mainly installs i.e. first app launch is considered and campaigns tracking. Consumption data is not reliable. Also, country filter is absolutely of no use at all. This actually is very frustrating when it comes to reporting. Also, not all the reports can scheduled on mail. This increases manual tasks. Just go for it. Appsflyer 360 is much more better. To keep an eye on installs flow. Also to understand the source of user acquisition and understanding user engagement to optimize digital marketing campaigns. The all in one report from appsflyer (Installations data) has made my life little convenient. "Great platform and very professional team!" The platform delivers great insights and helps better understand the mobile attribution from different sources. The AppsFlyer team is very professional and helpful, smooth cooperation! Currently there are no topics that I could describe as negative points! I am happy with AppsFlyer and can highly recommend it! The platform makes it much easier to understand the value of mobile leads acquired through different channels. Based on that I can make the right decisions on optimzing the mobile marketing campaigns. "Best App attribution on the market "
The UI and the product is just awesome. Great tracking and measurement tools with simple implementation guides that keep getting friendlier. Customer service is the best I've experienced! Tracking campaigns performance and KPI reporting on app promotion. Smart and dynamic deep-linking to the app. I love the customer service and user friendly dashboard. The customer support is very responsive and always provides valuable solutions. The dashboard is user friendly and channel integration is seamless. AppsFlyer also provide best-in-class fraud protection. Additionally, they provide customize reporting dashboards to help streamline internal reports. It was would be great if they would consolidate iOS and Android dashboards to a single dashboard (rather than creating a custom dashboard). Consolidate all data into one platform. AppsFlyer's dashboard makes it extremely easy to compare cross-channel. Additionally, it has been a challenge to feed internal data to app performance and AppsFlyer has made this possible cross-channel. "Great Dashboard, analytics and customer service, but could improve in some areas, specially UX." The simplicity of the Dashboard and visualizing data. Everything is very intuitive and easy to understand. Also, the customer service is fast to respond and good! Sometimes there are random bugs in the platform, some unexpeted errors and sometimes we have trouble figuring out how to extract and analyze some reports. InApp analytics and performance on specific Campaigns in all the most relevant Media buying sources in the Mobile Market landscape. We've been able to grow our User Acquisition operation exponentially due to good use of Appsflyer analytics tools and take action into changing things that matter for our products. I like the customer service approach of appsflyer and the TAT especially is quite low to resolve critical issues. Sometimes the process of reaching tech team is to complicated, and sometime there are communication gaps. "AppsFlyer is currently the best mobile attribution platform within a reasonable pricing model"
In a tough market with several SDK providers, AppsFlyer manages to easily merge this complicated network into one, simple solution. "Great product and features that makes mobile atribution easier"
"Appsflyer - best MMP out there!" Data reliability and validity, great support. Have a lot of nice features. Pricing is also good. Sometimes pushing too much to get other features outside current plan. 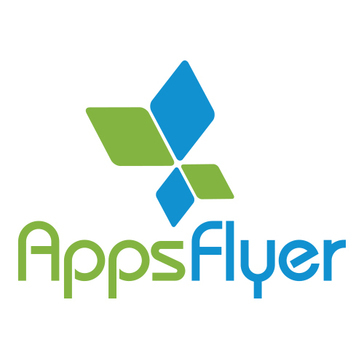 Appsflyer is our solution of mobile app installs attribution, and its doing it job 100%. That is easily the best attribution provider on the market, no doubt about that. They provide a lot already and as far as I know they are working on building probably the most complete mobile marketing suite there will be. A lot of them - in the area of attribution, data accesibility, seeing where the money spent go. "Great tool for every app marketer!" I like that it gives rich data on download sources - where the downloads come from and how the user interacts with the app from the initial moment. The onelink feature is also great in order to track information using only one link. We are measuring the most effective source of download information and trying to analyze the effectiveness of every channel when it comes to attribution of downloads. "Very flexible and easy implementation of new partners"
We just started scaling the number of partners we do mobile app install deals and this would have never been possible without AppsFlyer. Giving access to third party + the exact conrol of what type of insights they can access is very easy (much easier then with other providers). Thiss allowed us to scale fast in new GEOs. Furthermore, AppsFlyer provides insights to prevent froud like click spamm. It seems that some of our install providers don't know exactly how to use AppsFlyer so very often we need to guide them through. I guess more work needs to be done to educate agencies. Appsflyer reporting has a placement breakdown (FB, Twitter, etc). Making it easier to optimize. Reporting pull is very unfriendly. Although it is easy to see the dashboard, sometimes I need the raw data to play with. It is extremely difficult to filter the data I really need and most of the times I have to download huge reports to get an specific type of information. Appsflyer helps us validate the quality of results. For example, while FB reports installs when the user clicks to download a given app, Appsflyer reports on installs when the user actually has the app on his/her phone and it provides more information on what happens next, app opens, launches, etc. "AppsFlyer gets the job done but the UI can be a little confusing"
AppsFlyer is robust - it allows you to connect a multitude of different services into your apps for tracking and helps you visualize and analyze the data from those services. With so many different services to connect, the UI can be confusing regarding what can insight can be gleaned from AppsFlyer, what exactly is being tracked, etc. Additionally, there are some odd alert choices that make it seem like things are going wrong when actually it's just a standard alert such as "You need to update your SDK by X date" - what is odd is alerts like this will show even if you HAVE updated the SDK for example. AppsFlyer gives us a central location to view mobile performance as far as app downloads and actions taken within our apps that can be attributed to different channels. "Market Better with less Expenditure "
It is easy to get bogged down in the array of choices we now have to market our business. I like the user friendly aspects of AppFlyer. Simple, clean, beneficial. I have not found anything yet, but I will let you know! Marketing is complicated and there is more and more competition out there; your business can easily get lost in the shuffle. I like to use as few applications as possible but that offer the most impact for us. Easy to use and understand. We'd really being struggling with our marketing channel attribution (my company runs a pan-European job search app) and appsflyer helped make everything a bit more clear, and it turns out we were actually wasting quite a bit of money on low quality channels! So it saved us money, that's the best thing about it. Nothing really. Simple, easy to use. Maybe too much data? We use appsflyer to improve cost per acquisition of downloads for our app. "Easy to use, quick to setup"
AppsFlyer makes it very easy to get your mobile campaigns in order. They have a fast setup for all of their instances, and making a new campaign is a breeze. The pricing model can be very restricting for smaller publishers. It would be nice if they had a free version or a lite version. Understanding where mobile traffic is coming from. There are no many different vendors in the space that are vying for your user, so it makes it easy to understand with AppsFlyer's platform. "The best tool for tracking app success"
Detailed analytics and data insights, ability to carve up data easily and nice interface. To think that we were just sticking our finger in the air and sort of guessing what was working before appsflyer is quite baffling to me! Give it a go. I believe there's even a free/trial version? We've used appsflyer on our mobile app to understand what works and what doesn't. We've saved quite a bit of marketing cash with the tool. I like the ease and speed of integration. I would like to see raw log explorer for both organic and non-organic. "Easy to use with customized user experience "
"Very useful for tracking down funnel conversions"
"Great choice of tracking for advertisers"
The friendly UI design, robust tracking and professional customer support greatly impress me. The report time doesn't support the timezone change. A software fits your needs and won't waste your time. "CPI network with good tools"
Good source of CPI apps. Integrate easily and get access to a broad variety of CPI apps. They work with other networks and are an aggregator of apps. I found their reporting tool to be very useful. be sure to check attribution and postbacks before going Live. "Nice analytics with media sources breakdown"
"Nice tool for installs attribution"
"Good platform that helps apps know where traffic is coming "
The platform is straightforward and simple, it offers most of the things you need in terms of measurement and analysis. I see this platform more oriented in attribution than in campaign analysis. Pricing model is great, pay for what you need. Great information provided for your app. Some things are minimal for now. Dashboard for instance. Helps to tailor your app, set up personalized campaigns. "good way to install apps"
the cost of aquisition to run appsflyer. * We monitor all AppsFlyer reviews to prevent fraudulent reviews and keep review quality high. We do not post reviews by company employees or direct competitors. Validated reviews require the user to submit a screenshot of the product containing their user ID, in order to verify a user is an actual user of the product. Hi there! Are you looking to implement a solution like AppsFlyer?